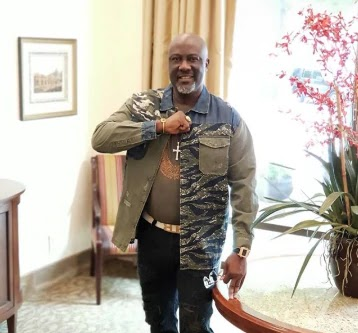 Senator Dino Melaye (Kogi West - PDP) has once again raised alarm over an assassination attempt on his life by officers of the Federal Special Anti-Robbery Squad (FSARS). He posted, "2 i/c mopol,OC SARS & 2 1/c SARS and 3 full load of policemen ilegally arranged by ADC to Kogi State Governor came to my country home in Aiyetoro Gbede to possibly assasinate me at 1am. "I have profound evidence of this. I will take them up on this. I will write the UN and ICC." 2 i/c mopol,OC SARS & 2 1/c SARS and 3 full load of policemen ilegally arranged by ADC to Kogi State Governor came to my country home in Aiyetoro Gbede to possibly assasinate me at 1am. I have profound evidence of this. I will take them up on this. I will write the UN and ICC.